Google has rolled out a new update to its Gmail service this week which will no inform you why certain email messages have been placed in your spam folder. 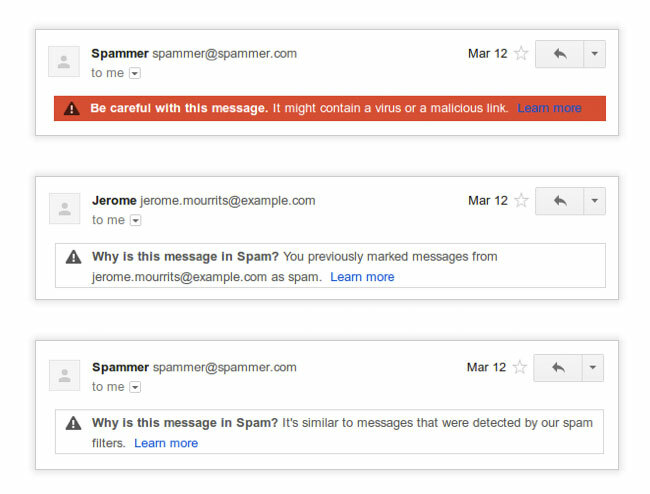 Google does a pretty good job of keeping most unwanted or malicious emails out of users Gmail inboxes. But the new indicators now provide you with a little extra information and help when sorting through your sSpam folder. From today Google will now be providing a brief explanation at the top of each of your spam messages. Any messages that are now dropped within your spam folder will now show why it was put there and inform you about any potentially harmful content that the message may contain. Google explains the reason for the new information bars. For more information on the new additions jump over to the Google Blog post.